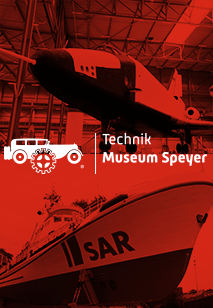 Welcome to the Technik Museum Sinsheim – which offers a unique variety of technology, unparalleled worldwide, just an hour south of Frankfurt. Embark on a journey through time and discover the milestones of technical history: How red does the red colour of a Ferrari gleam? What record did the Blue Flame set? What is the cubic capacity of the Brutus experimental vehicle? How big is the largest dance hall organ in the world, and who has really got the edge? The Tupolev or the Concorde? 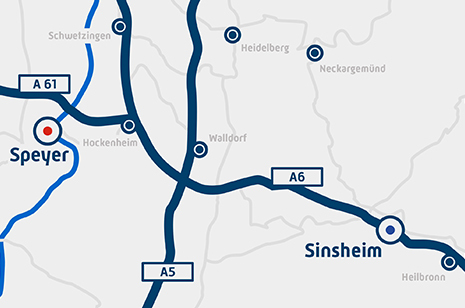 In addition to the supersonic jets and other aircraft that you can walk right up to, there is even more: hundreds of elegant vintage cars, motorcycles high in horsepower, racy sports cars, colourful dragsters, powerful agricultural machines, Formula-1 legends, nostalgic racing bikes, huge steam locomotives, extensive militaria, special exhibitions and vehicle conventions – for fans, by fans.